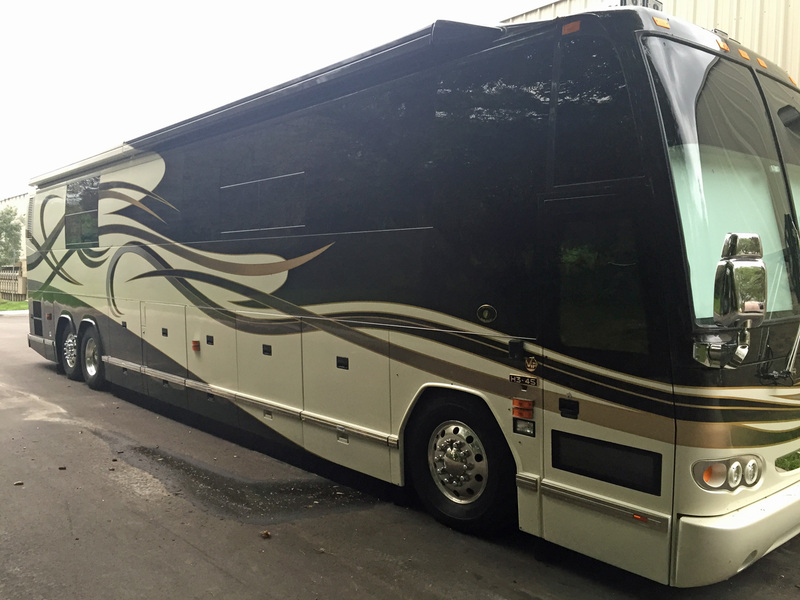 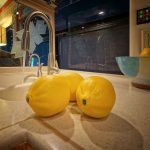 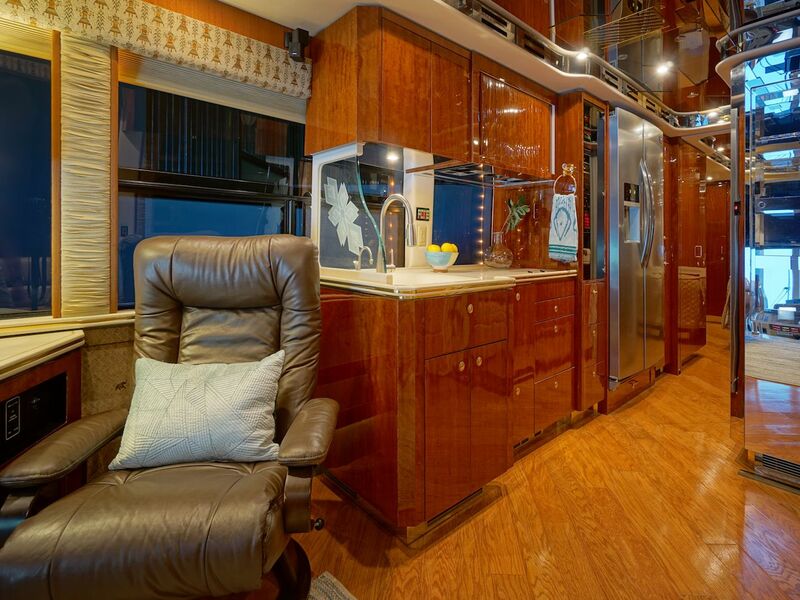 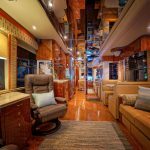 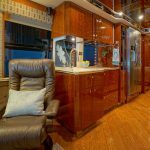 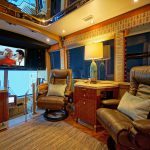 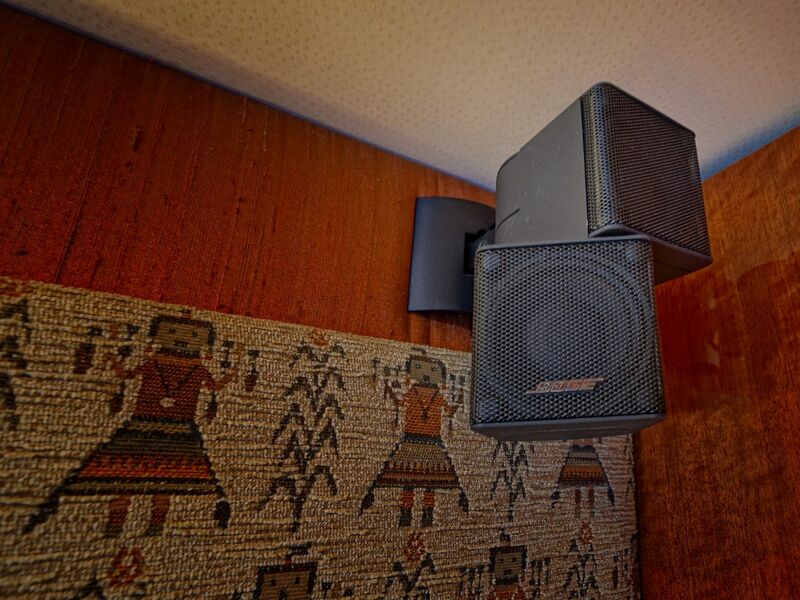 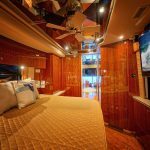 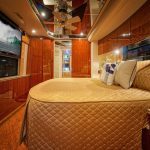 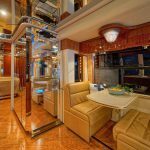 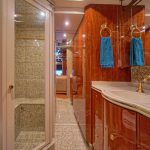 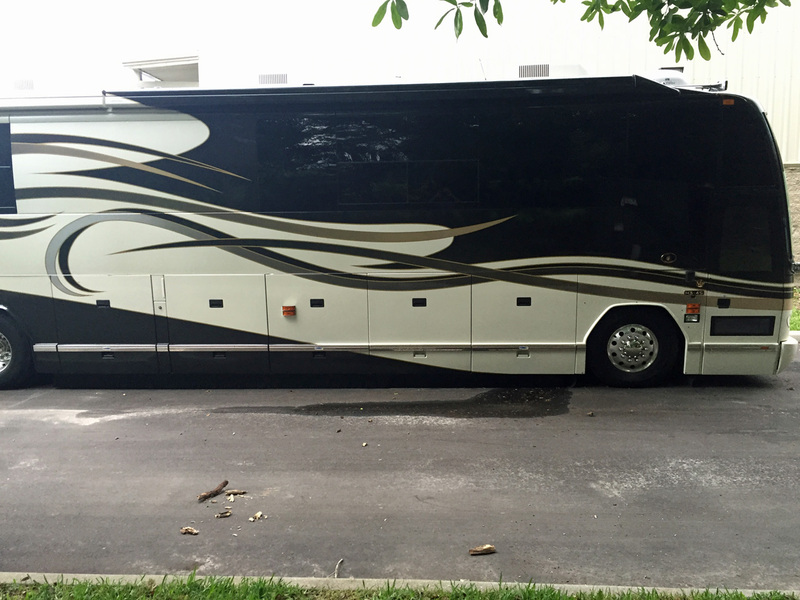 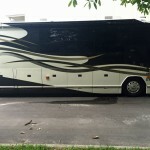 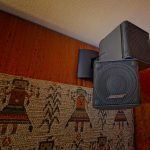 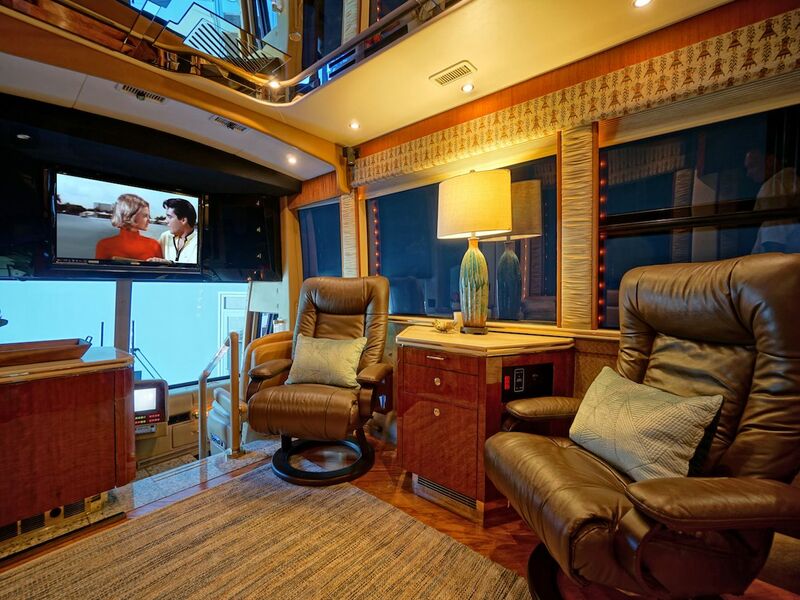 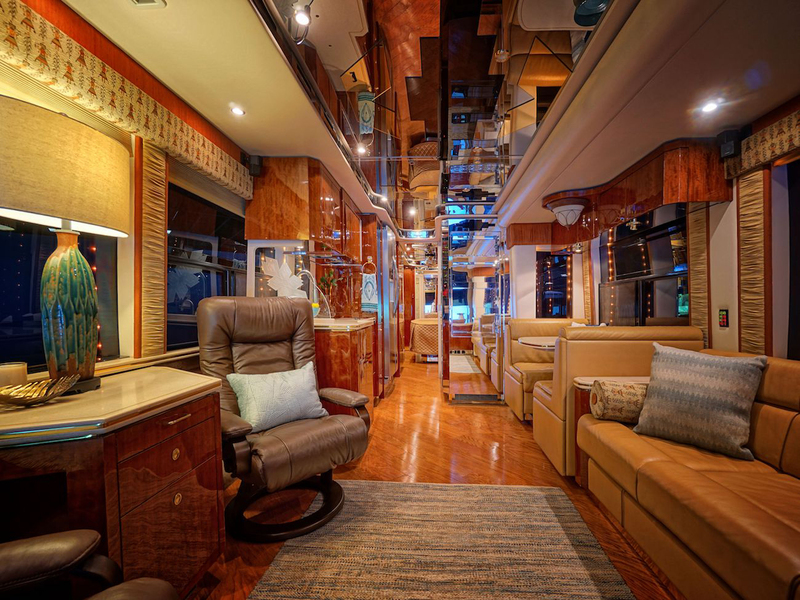 This is a beautiful 2005 Prevost Featherlite Vantare’ for sale and features two slides with full length awnings and great outside entertainment. 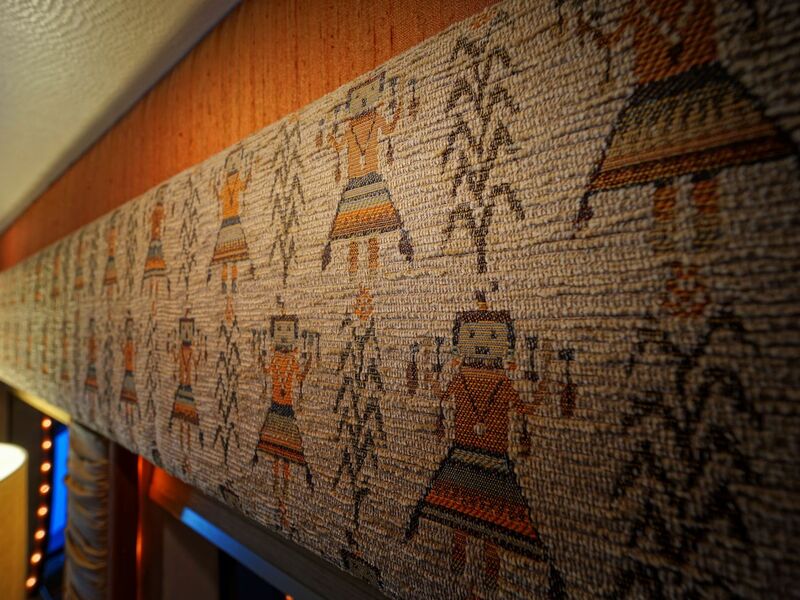 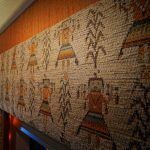 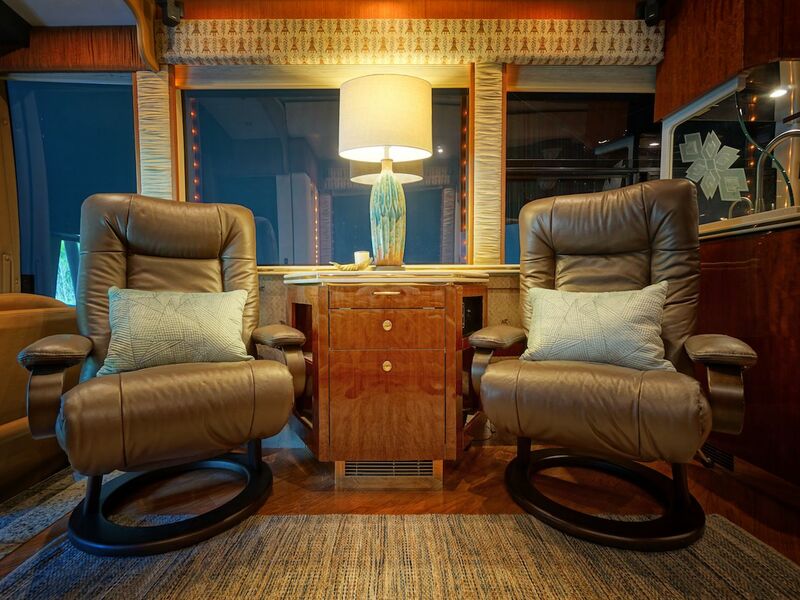 As you enter the salon you are drawn to the expansive couch on the slide out next to the comfy booth dinette. 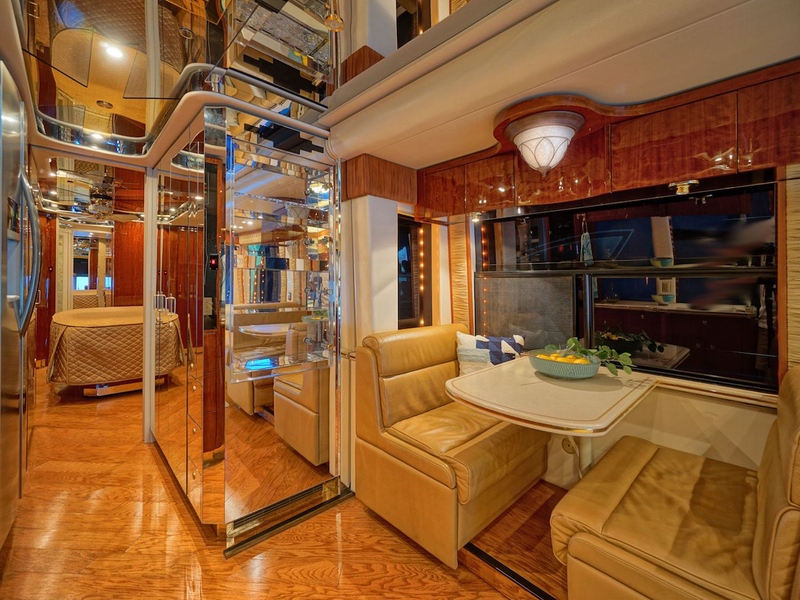 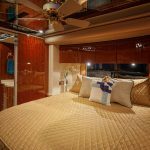 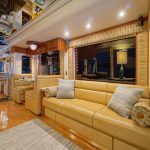 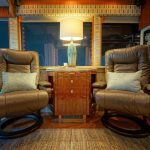 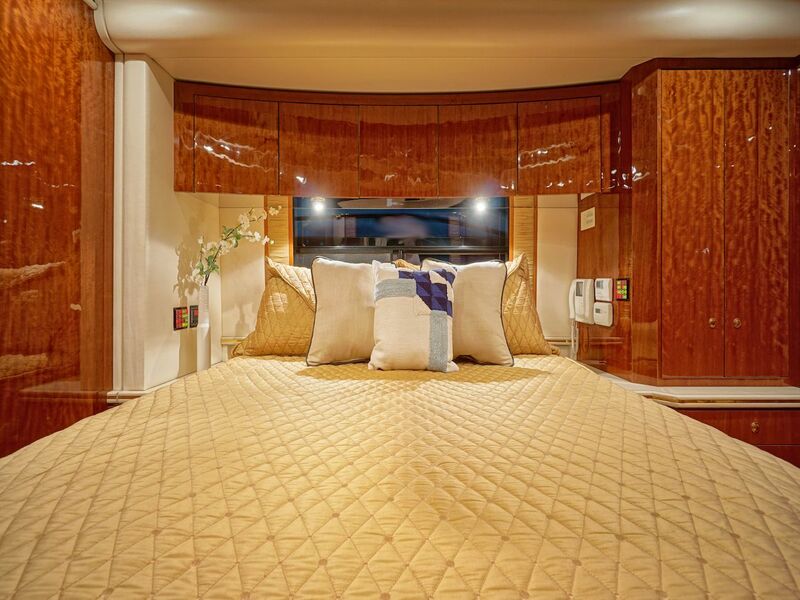 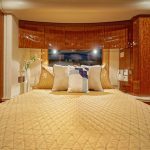 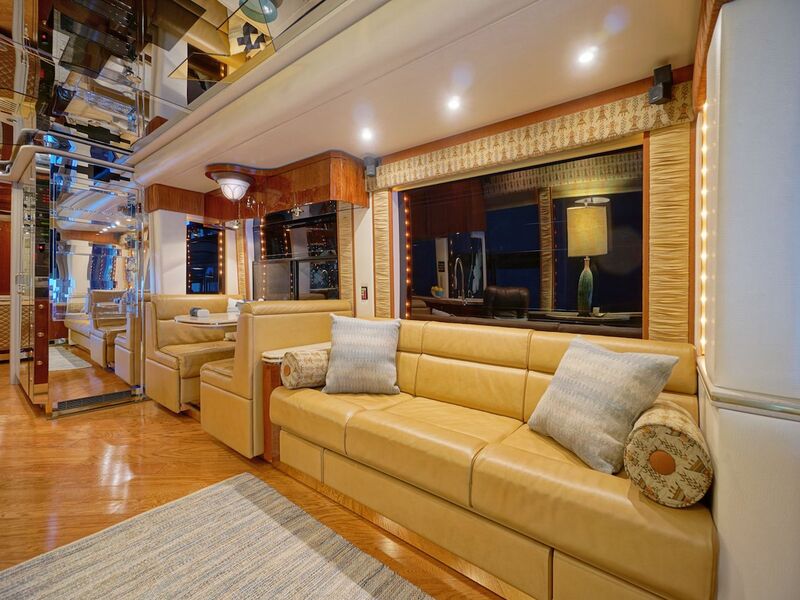 Crossing the natural wood look flooring you will find dual lounge chairs with tables between them all situated forward of the fully equipped galley. 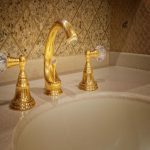 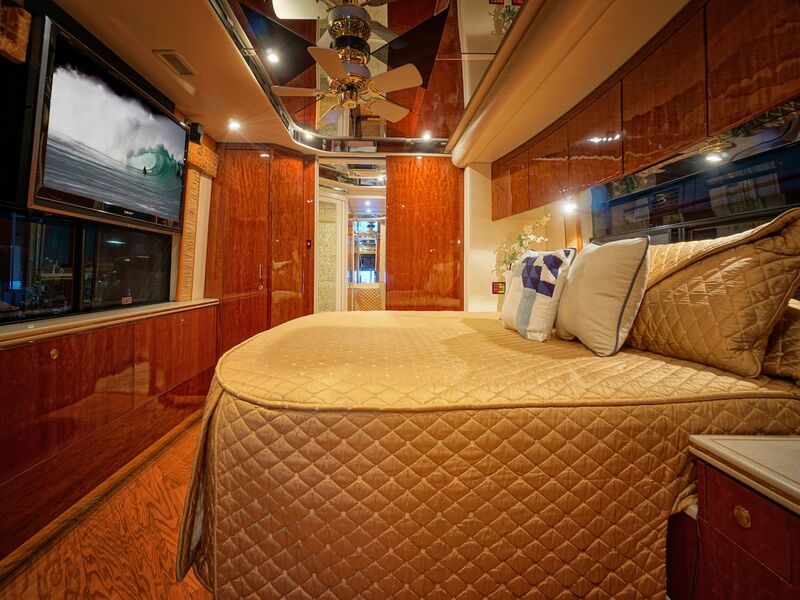 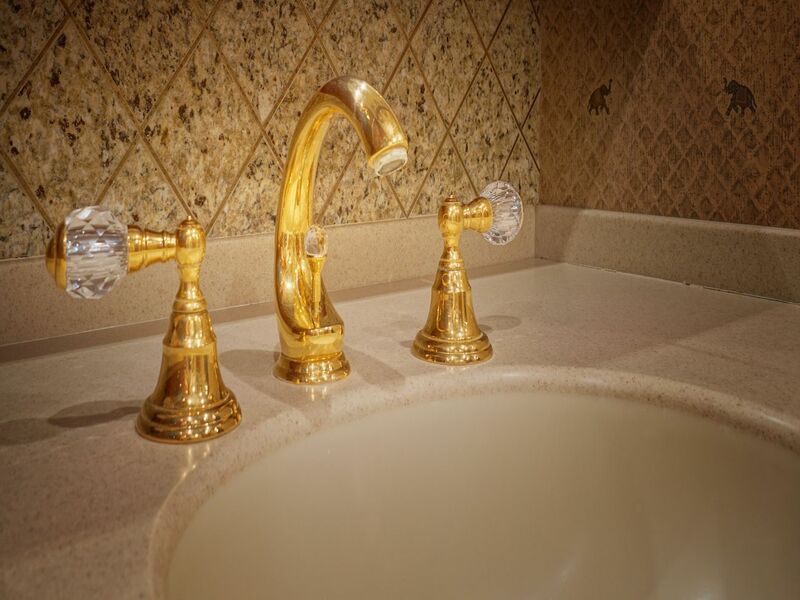 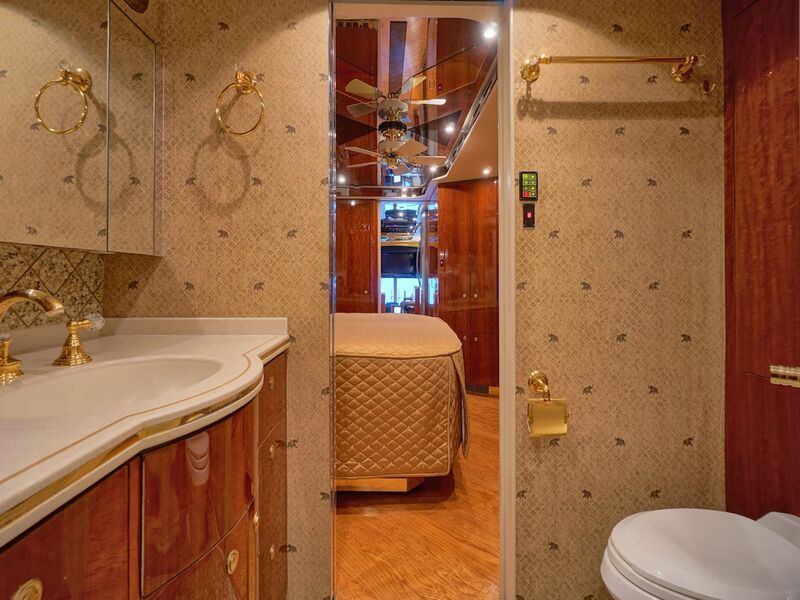 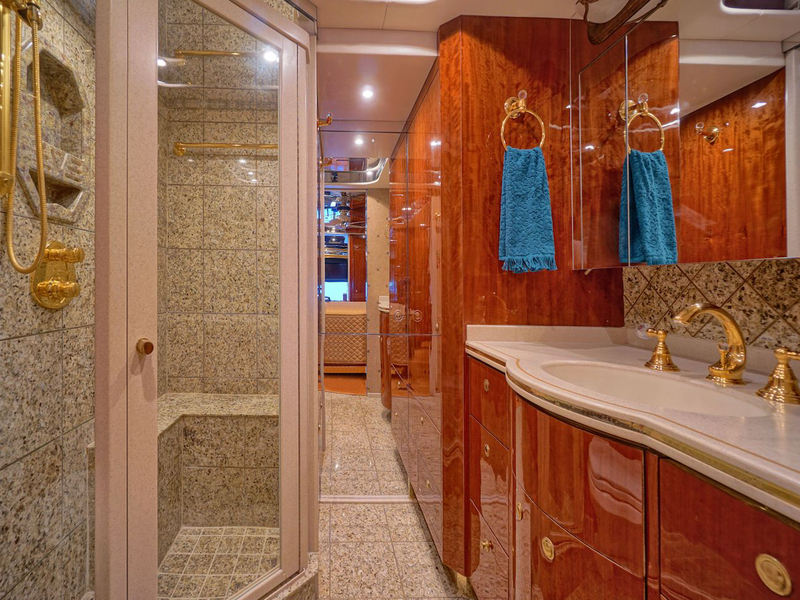 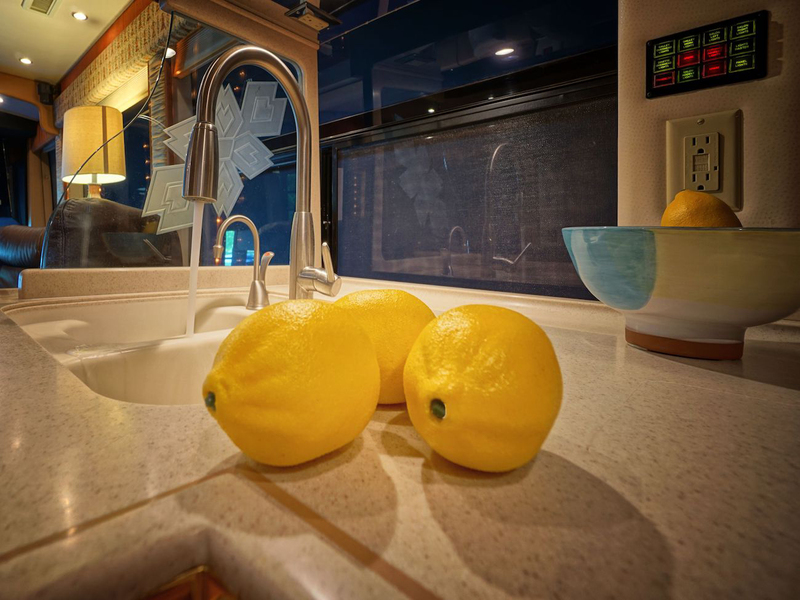 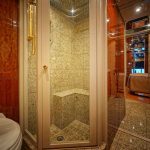 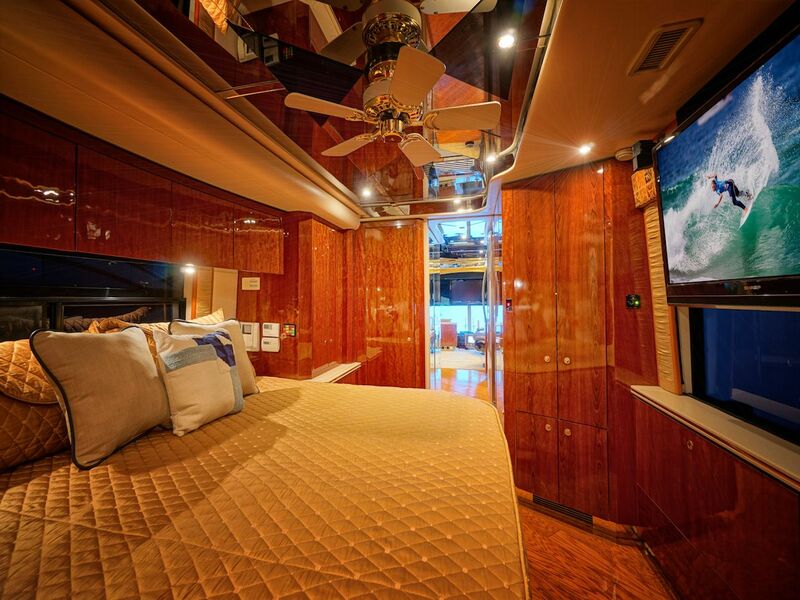 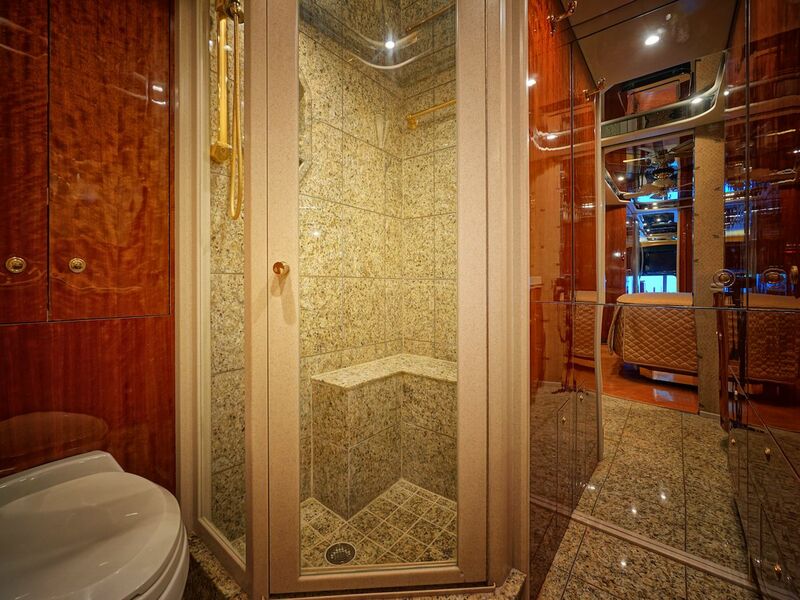 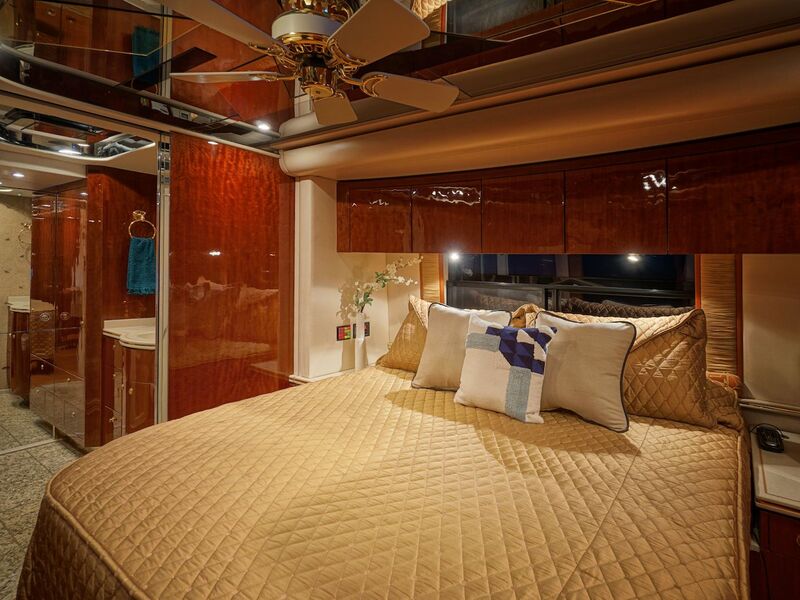 In the back of the coach you will find the spacious master suite and full bath with large shower and storage areas. 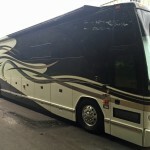 Contact us today for complete details on this coach.